Click here to learn more about Oxford’s Design-Build team. Every year, the Washtenaw Contractors Association recognizes select firms and individuals working in Washtenaw County’s construction industry. 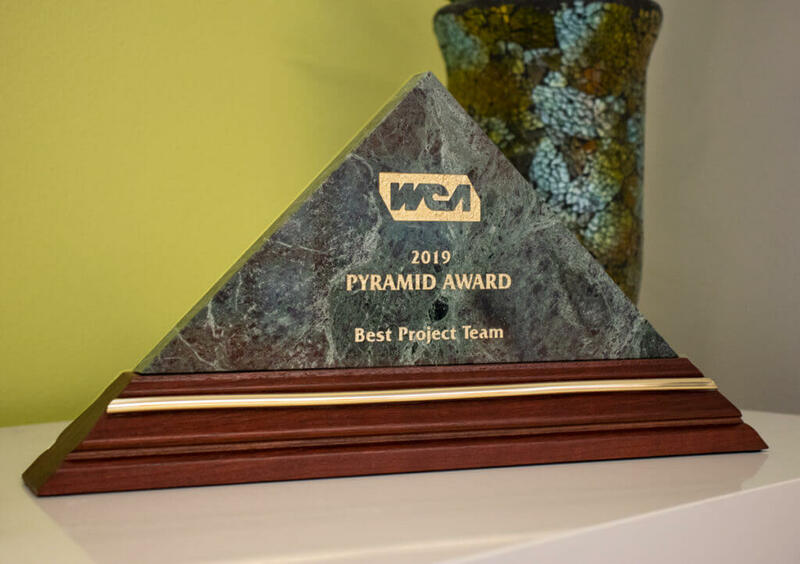 The awards given, called Pyramid Awards, recognize remarkable efforts in the categories of Best Innovation, Best Project Team and Best Subcontractor. 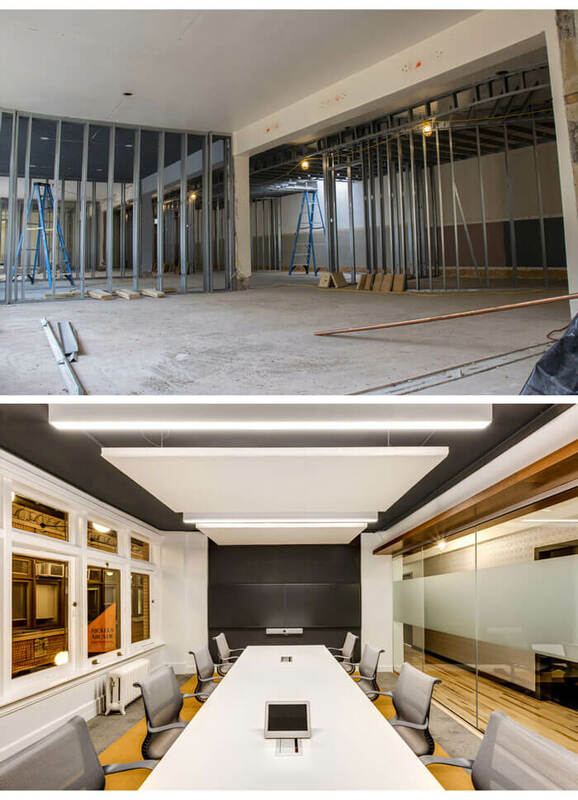 Oxford Companies was proud to win in the category of Best Project Team (Under $3 Million) for our “International Technology Firm Buildout” at Nickels Arcade. 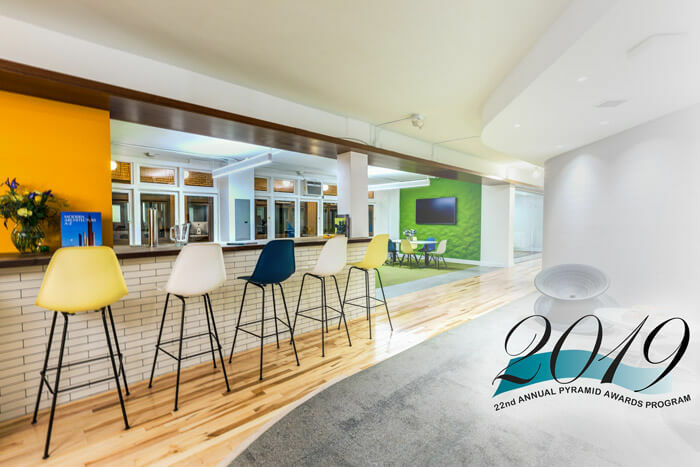 Below you will find photos of our award-winning space, as well as an excerpt from our nomination package. 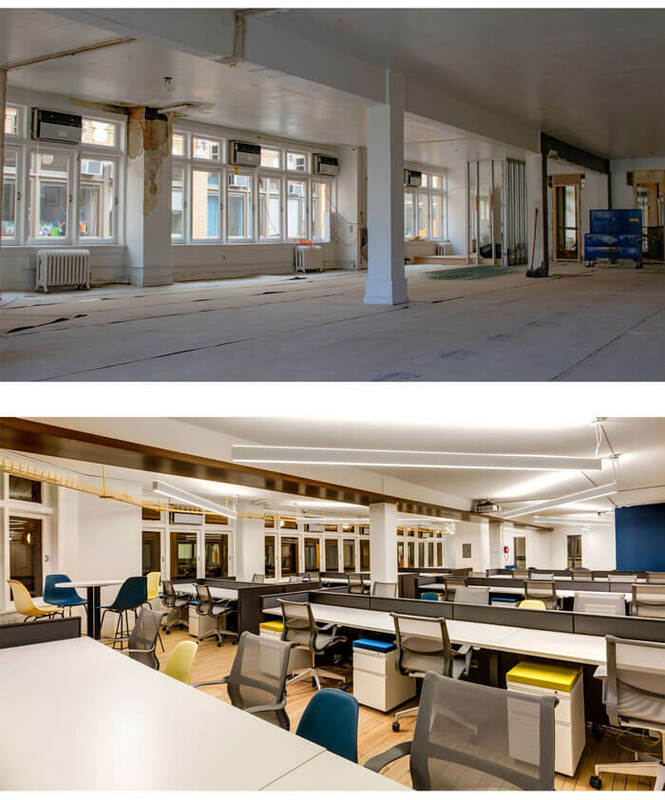 Oxford’s “International Technology Firm Buildout” was a complete rehabilitation of more than 100-year-old office suites. 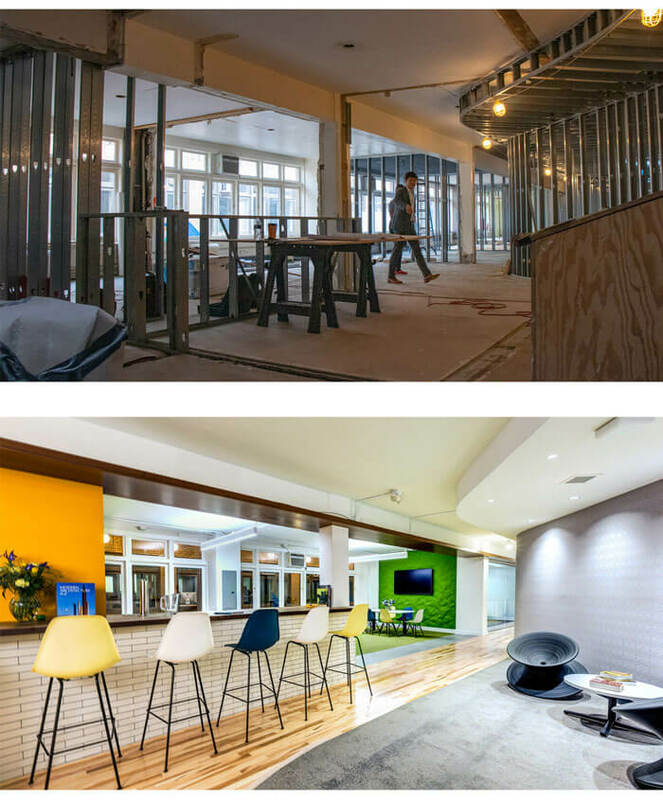 The project was born from a tenant’s desire to expand their downtown Ann Arbor office into a space with modern components and amenities. 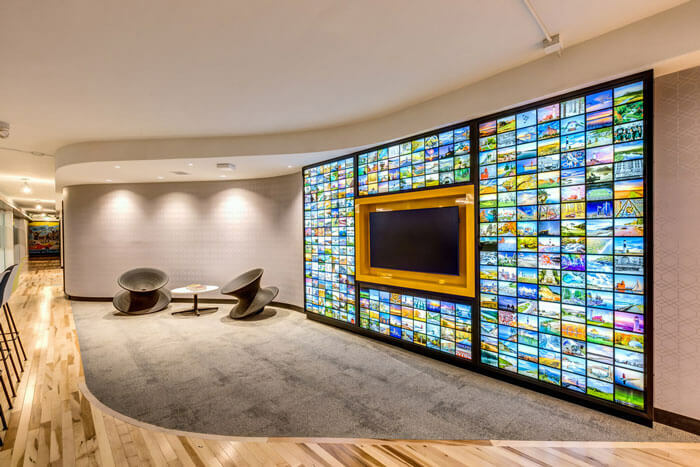 Oxford partnered with OX Studio and CCS Construction to conceptualize a buildout that embodied the client’s brand identity and business aesthetics. 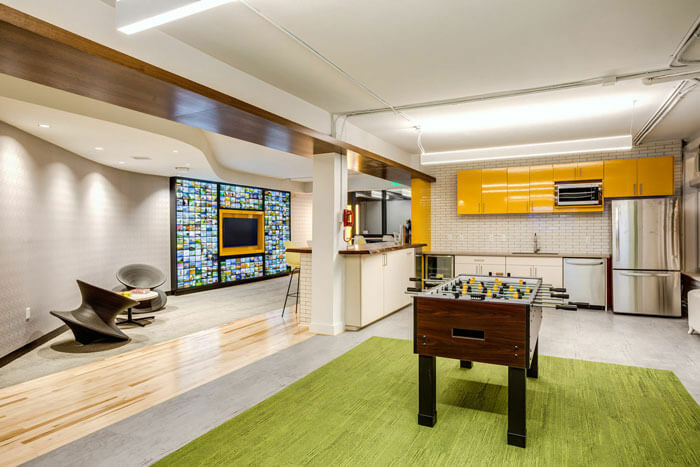 The final product serves as a flagship buildout for all project representatives. 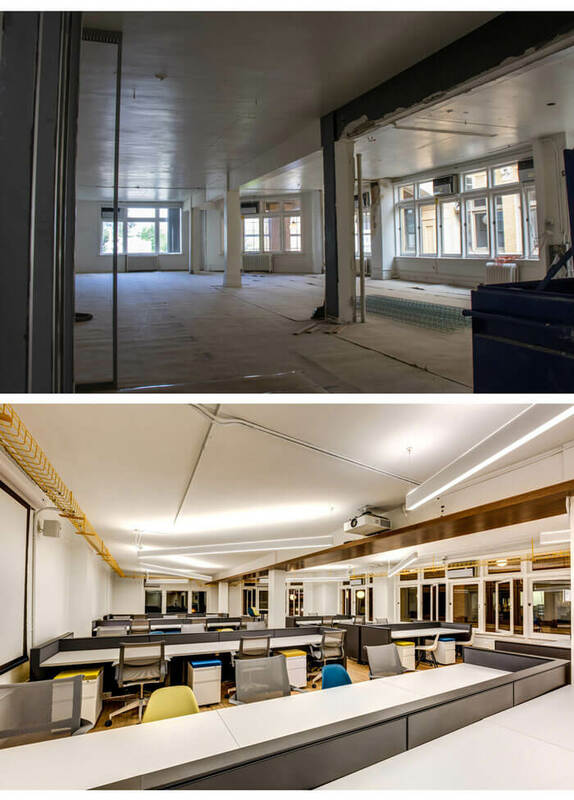 A structural clear height of 9′-3″ from cast-in-place structural slab to structural slab requiring a swiss-watch like integration of all building systems in order to maintain the open and bright aesthetic envisioned by all team members. 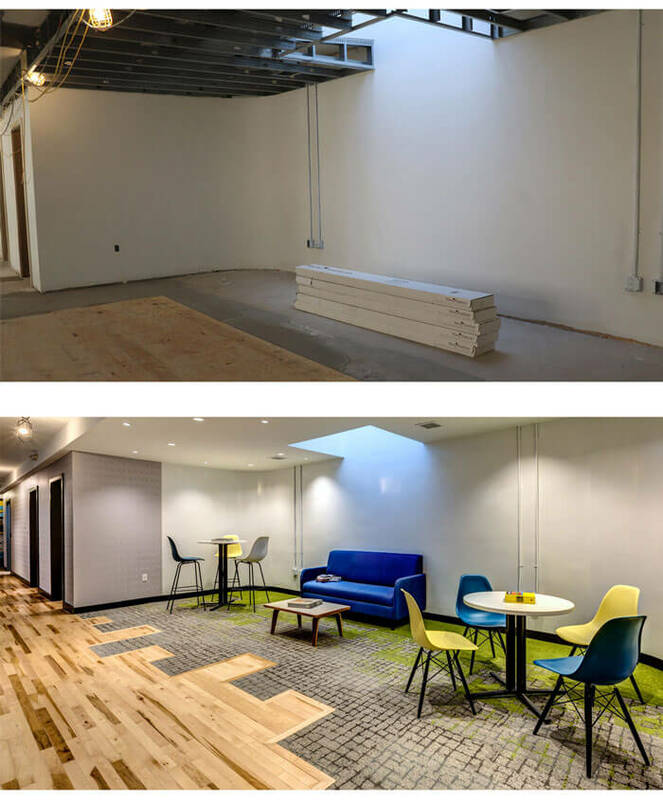 A lack of site and staging area along with occupied tenant spaces above and to either side required special accommodations and solutions to be employed by the entire team to address logistical concerns throughout the duration of the project. Working within a vibrant and active downtown context with active student and retail traffic in and around the building. Significant life safety and accessibility code challenges due to the historical context.